Jake Grech will become a Birkirkara player this morning after the Stripes reached an agreement with Ħamrun Spartans over the transfer of the 19-year-old midfielder yesterday. The Malta U-21 international is set to put pen to paper on a five-year contract to become Birkirkara’s first major signing in the summer transfer window. 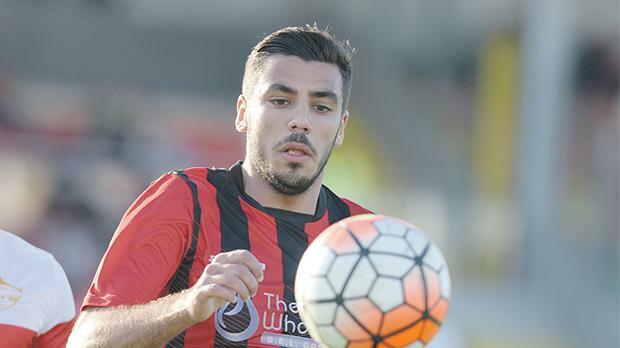 Defender Daniel Zerafa, who last season was on loan at Tarxien Rainbows, will join Ħamrun as part of the deal that will see the Spartans receive a hefty transfer fee for the talented midfielder. Zerafa has agreed personal terms with the Spartans and is expected to sign a three-year contract. At Ħamrun, Zerafa will reunite with his former mentor Jacques Scerri with whom he worked with at Tarxien Rainbows. Birkirkara have also settled the future of winger Edward Herrera who agreed to extend his contract for a further two years. Herrera, who had joined Birkirkara in 2012-13, was courted by a number of other Premier League clubs but has decided to remain loyal with the Valley club for another two seasons. Birkirkara have also put faith on young goalkeeper Philip Schranz who will be forming part of the first-team squad. New coach Peter Pullicino is keen to inject some young blood in the Birkirkara squad and he sees Schranz as a key member of his team for the upcomingcampaign. Ħamrun Spartans have secured the services of another former Tarxien player – Triston Caruana. The 25-year-old, whose contract with the Rainbows expired at the end of last season, has reached an agreement with the Reds to sign a five-year contract. Meanwhile, Ħamrun’s transfer activity is likely to continue this week as they are set to make an approach for Tarxien goalkeeper Andrea Cassar. Elsewhere, Hibernians have agreed personal terms with English midfielder Joe Colbeck. The 30-year-old has been training with Hibernians for the past week. Coach Mark Miller has been impressed by the former Bradford and Oldham player and offered him a one-year contract.